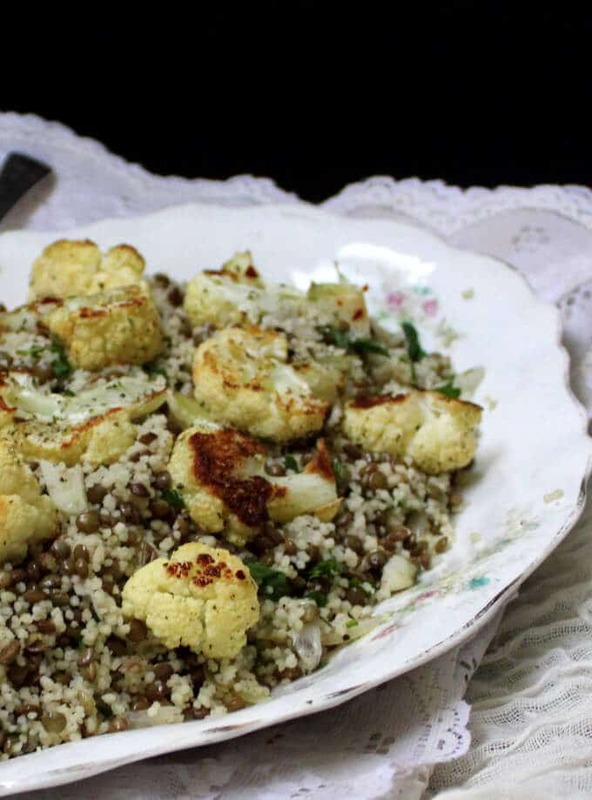 A light, delicious dish of Roasted Cauliflower Couscous with Lentils and the bright, bold flavor of mint. 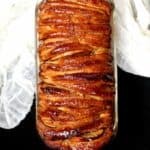 This recipe requires just a minimum of ingredients, but it’s extremely flavorful and easy to make. 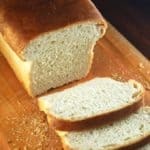 A vegan, soy-free, nut-free recipe. Spring weather is finally here, and not too soon, considering it’s already May. With the world all bright and sunshine-y, it’s not exactly fun to spend hours — or even an hour — in the kitchen, cooking up a meal. One of our favorite, and easiest, recipes I’ve made these last few days is this Roasted Cauliflower Couscous with Lentils and Mint. This recipe has three elements that cook separately — but at the same time — and you simply assemble it all together in the end. It’s a meal by itself, incorporating grains, veggies and beans, so you really don’t need anything else to serve it with, unless you want to make a fresh salad, which would be a wonderful accompaniment. Overcooked cauliflower is something I cannot stomach, but roasted the way I do it here it is wonderfully tender-crisp and golden and it adds tons of flavor. I add a dash of mint to the cauliflower before roasting, and it makes a world of difference. Mint and cauliflower are a wonderful flavor combination, and together they make Spring taste exactly the way it should. 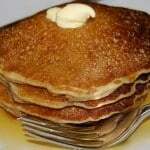 If you try this recipe, be sure to let me know! Here’s to Spring and all the wonderful veggies it brings our way. 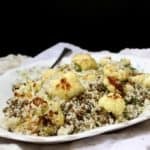 A light, delicious dish of Roasted Cauliflower Couscous with Lentils and the bright, bold flavor of mint. This recipe requires just a minimum of ingredients, but it's extremely flavorful and easy to make. A vegan, soy-free, nut-free recipe. Toss the cauliflower with salt, pepper, half the mint, and 1 tsp of extra virgin olive oil. Place in a single layer on a baking sheet. Roast for 30 minutes, checking once halfway and turning the florets over to ensure they roast evenly. 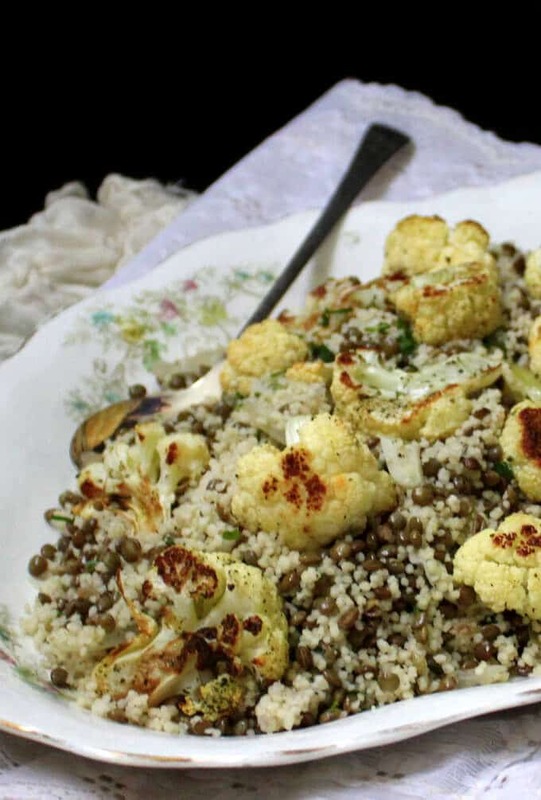 While the cauliflower is roasting, make the lentils and couscous. For the lentils, place the lentils in a saucepan with water to cover by an inch, season with salt and pepper, bring to a boil, cover and cook 20 minutes or until the lentils are tender. For the couscous, place a wide saucepan or skillet on the stove. Heat the remaining oil in the pan and add the onions and garlic. Saute over medium heat until the onions are translucent but not brown. Add 2 cups of water (vegetable stock is even better), season with salt and black pepper, add the remaining mint, and bring the water to a boil. Add the couscous, stir it once, and turn off the heat. Place a lid on the saucepan and let the couscous stand at least 10 minutes. To assemble your dish, add the lentils to the couscous, mix well, and check for seasoning. Stir in the mint, parsley or coriander, if using. At this point, a light drizzle of olive oil adds an even greater wallop of flavor to this dish, but it's optional. 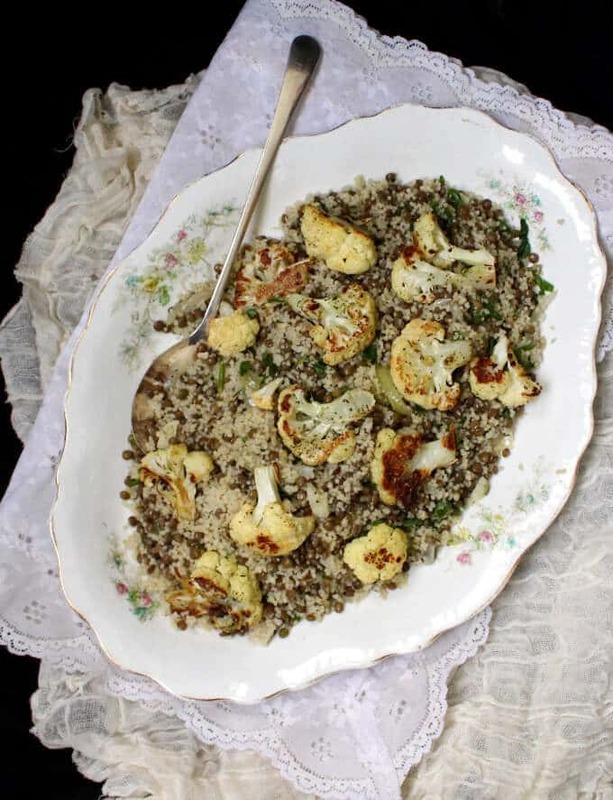 Serve the lentils and couscous in a platter with the roasted cauliflower florets arranged on top. 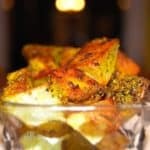 Hi Vaishali, I enjoy reading your blog very much. I tried your recipe today. My husband liked the cauliflower, my son, who is allergic to milk and therefore eats vegan (sometimes with meat😀) liked it all together and I also liked it a lot. I took dried mint, I think it should be even better with fresh mint. We had tsatsiki with it, from soy yogurt for my son. 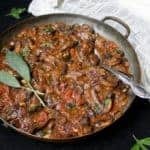 My husband likes everything saucy, so it would have been too dry for him without the tsatsiki. Thank you for your fine recipes and interesting stories. Hi Ute, thank you for your kind words. And I love that you served this with tsatsiki– that sounds perfect, and such a great idea. I’ll be trying that too! So happy your family liked it.